Jesus performed a miracle feeding the multitude with five loaves and two fishes. I think this miracle is one of the most relatable for us. If you've ever cooked a meal, you know how much food it takes to feed a crowd. We also know on an given day, a husband and wife might sit down at a table and eat five loaves and two fishes on their own. Thus, we fully understand and conceive what a huge miracle it was to feed more than 5000 people with simply five loaves and two fishes. There's much more in this miracle this is never talked about. Remembering the story, the disciples spoke out negatively about Jesus thinking he could feed that many people. They didn't have the money to do it. They didn't see a table spread with a feast. Andrew, I'm calling him the believing disciple, said he saw a young boy with five loaves and two fishes. Jesus said "Bring him to me." This is the pivotal part of the story I want to talk about. I want to be like Andrew. The other disciples didn't trust Jesus could feed the multitude before they even knew there were morsels of food in the crowd; Andrew was hopeful. The other disciples thought the task too monumental for Jesus to perform; Andrew believed. It is no mistake Andrew was the disciple who saw the young boy in the crowd. God knew Andrew was the one who would assist Jesus with this particular miracle. God needed someone who would use the resources at hand to get the job done. Think about that. If it weren't for Andrew, the other disciples would not have witnessed this miracle of God. 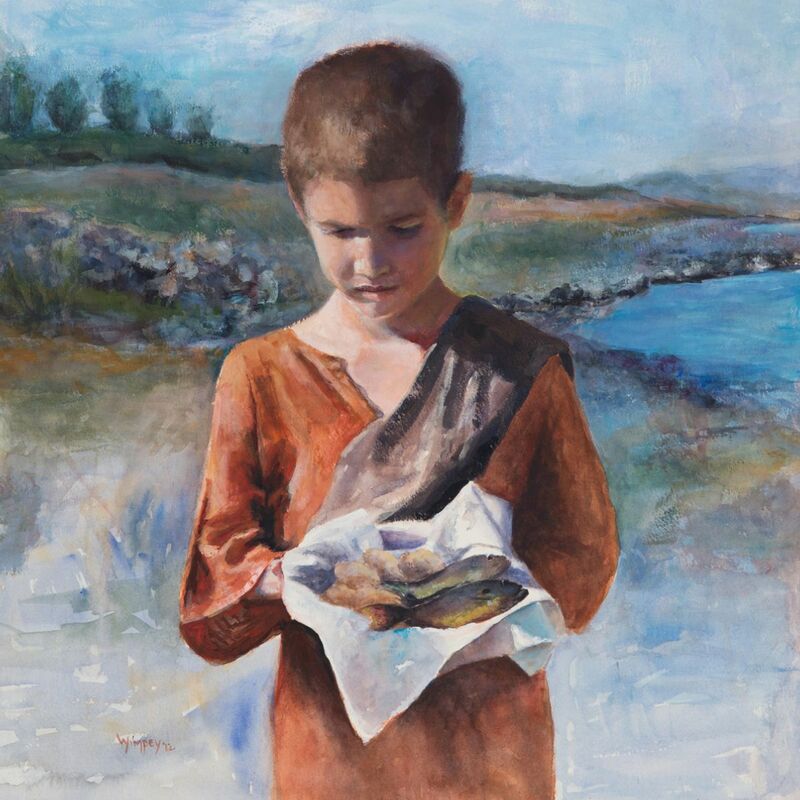 I want to be like the young lad with the five loaves and two fishes. He gave all he had to Jesus! Imagine how the scene might have played out if Andrew had spotted an adult with five loaves and two fishes. I'm suspecting talking an adult out of dinner may proved very difficult. The Bible tells us we must come as a child to Jesus. This story is the perfect example of how children respond to Jesus versus how older people respond to Jesus. The lesson here is he gave a little and received a lot in return. The lesson is not about the return on his investment but the sheer willingness of giving without question or hesitation. I want to witness every miracle I can. Do you believe miracles can happen or still happen? I do! They may not be recorded in a book but they may certainly be recorded in our hearts and memory. Here's the thought I have as we go into a New Year. Let's make 2019 our best year yet. Let's assist Jesus every time we can by witnessing truth, grace and mercy. We are the Light of the World. He said so. Let's use the resources we have to promote God's kingdom to others. Let's believe ALL things are possible through Jesus Christ. When you hit a roadblock this year or think you've gone as far as you can go, remember this story. Your miracle is out there in the crowd. Look for the person who is serving Jesus with all they have. Look for the person who is willing to give you a bite to feed your hungry soul. Jesus works in us and through us. Don't give up! There's a young lad, out there in the crowd, with five loaves and two fishes.